In Sport, the term ‘good bloke’ doesn't mean what it says. Like ‘fun run’, it in fact often means the exact opposite. 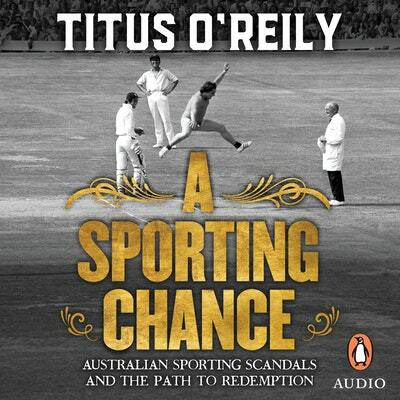 Titus O’Reily, the sports historian Australia neither needs nor deserves, examines why our nation’s sportspeople can do terrible things yet be so readily forgiven. In this Great Southern Land, a sportsman can be excused almost any sin if he is elevated to the mythical status of being a ‘good bloke’. So, what does it take to earn the title of ‘good bloke’? And can female athletes be good blokes too? 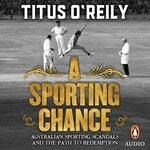 With ridiculous tales from Australia’s chequered sporting history, A Sporting Chance dissects the scandals big and small, the mistakes made in covering them up and the path athletes tread back to redemption. From the corrupt cop who gave us the race that stopped a nation, to the Australian boxing champion who refused to train – not to mention the sandpaper-loving Australian Test cricket team – Titus reveals the key archetypes at the heart of our greatest sporting scandals. In his own rambling and at times incoherent style he asks the question: are Australians really that forgiving of their sporting heroes? Or, with the rise of social media, women’s sport and the drive towards greater equality, are the good blokes of Australia’s sporting landscape becoming an endangered species? Three go-to defence mechanisms for sporting ‘Good Blokes’ who’ve done wrong. 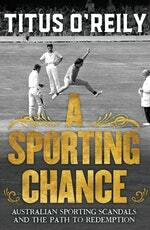 Love A Sporting Chance? Subscribe to Read More to find out about similar books.